Self-Directed IRA Services (Horizon Bank) is one of the industry-leading custodians and account administrators for both small businesses and individual investors. Better known Horizon Bank (since 1905 in Austin, Texas) established this firm back in 2008 as their wholly-owned subsidiary. This group prides itself on its wide variety of both alternative and traditional asset class investment choices which include the full range of precious metals. They partner with a large number of the top rated 2019 bullion dealers and Gold IRA firms. Self Directed IRA Services (Horizon Bank) is ranked #4 on our list of the top 10 IRA custodians of 2019. In the following review, we’ll discuss this custodian’s business background, management, reputation, products/services, and their fees for a precious metals IRA. Self Directed IRA Services (www.sdiraservices.com) is an industry-leader in custodial and administrative account services for individual investors and small businesses. The company was founded in 2008 as a wholly-owned subsidiary of the more established Horizon Bank, which was founded in 1905 and is based in Austin, Texas. As a large provider of individual retirement accounts (IRAs), they specialize in letting clients invest in a broad range of traditional and alternative investments within IRAs, including precious metals. This custodian is partnered with many of the top bullion dealers and Gold IRA companies of 2019. Self Directed IRA Services has a management staff of more than 15 professionals in business development, client services, operations, and accounting. Their Client Relations Manager is Margaret McVan, while the company's leading precious metals IRA specialist is Susan Swanson. Not much else is listed about the management staff on their official website. To learn more about Self Directed IRA Services' fees for a precious metals IRA, see their complete fee schedule. 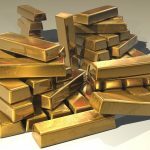 Gold IRA & Precious Metals Investing – Includes a guide to setting up a Gold IRA and the benefits of using Self Directed IRA Services to do so. IRA Resource Center – A detailed knowledgebase covering the types of IRAs, investment options, frequently asked questions and a variety of other topics related to self-directed IRAs. Getting Started – A quick disclaimer shown to clients before they open an account. The general consensus is that investors should be looking to allocate about 5%-20% of their overall retirement portfolio towards precious metals. This portion of your portfolio is intended to fulfill two primary purposes – its acts as a rather predicable and effective hedge against inflation (when the inflated dollar's value decreases, the value of gold typically rises,) and it provides the opportunity to boost the value of your retirement savings multiple times over in the event of another recession or depression (which could dramatically increase the demand for and price of gold). What does all this ultimately mean? It means you should be extra careful about how you invest that seemingly small portion of your portfolio, as it could wind up becoming the most important investment you can make for your retirement in the long-term. Fortunately, we've made it easy for anyone to conduct their own research and compare the leading Gold IRA companies and top IRA custodians. Our guides and comparison charts provide convenient resources from which to research how Gold IRAs work and which companies are the most trusted and cost-effective service providers and bullion dealers. If you're an owner, representative, or associate of Self Directed IRA Services and you've found any of the details in this review to be erroneous, misleading, or outdated, please do contact us with your concerns. With the intent of providing the most accurate reviews on an ongoing basis, we will gladly revise or remove any content that is outdated or incorrect. In addition to excelling in the above aspects, Equity Institutional also ranked as the #1 custodian this year because of their partnership with Regal Assets, the #1 company on 2019's list of the top Gold IRA companies. Waived Custodial Fees – Regal Assets will often offer to waive the first year's fees if you're opening an account that is worth more than $10,000. Even high value accounts may have the first 3 year's fee waived completely. this means you don't have to pay the custodian fees for your IRA that you would have had to pay had you signed up with Equity Institutional directly. Flat-Rate Fees – Even after the fees are no longer waived, you'll never have to pay more than the $250 flat-rate annual fee that covers storage and does not increase regardless of the account value. Unlimited Offshore Storage – Regal Assets lets you choose from secure depositories in the U.S. and offshore locations like London and Singapore through trusted companies like the Delaware Depository Services Company and Brinks. You can store as much gold as allowed in the offshore storage depository of your choice, with no extra charge added to the annual account fee. Easy Setup and Stocking Process – If you were to open an account with Equity Institutional directly instead of going through Regal Assets, you would then have to find a bullion dealer that will sell you the appropriate IRA-eligible gold coins and bars at a fair price, without scamming you (not always easy). However, when you set up the IRA through Regal Assets, you instantly obtain the additional benefit of buying from a dealer that only sells the finest bullion products – all of which are eligible to be deposited into an IRA, and they'll quickly and safely deliver your gold into your IRA with Equity Institutional at the depository or offshore location of your choice (they have several choices available). Best Online Reputation of Any Gold IRA Company– Regal Assets has an A+ rating with the Better Business Bureau, AAA rating with the Business Consumer Alliance, and 5-star ratings on Yelp, The Yellow Pages, Google+ and Trustlink. org. To maintain such an impeccable reputation over the course of 11 years they must be providing a consistently high quality of customer service, especially to have zero complaints in the last three years with the Better Business Bureau. Invest as Little as $5000 – This is a lenient policy in contrast to some bullion dealers and Gold IRA companies that require a minimum investment of $10,000. Best Information Kit in the Industry – Regal Assets offers a free information kit to any interested investor, completely free of charge. It includes instructional DVD's, guides, and a wealth of the latest information pertaining to precious metals IRAs. This kit is available to anyone upon request (to request one, fill out the form at the bottom of this page). Even if you're just interested in learning about Gold IRAs with no current commitment, we strongly suggest you at least check out their investor's information kit at not cost and no risk. Guaranteed Buy Back – Regal Assets will buy back any precious metals you've purchased from them at a fair price and can have the money back into your account within 24 hours on any given business day. So at any time you can quickly liquidate your assets back into cash with relatively little time and money lost. Informative Customer Service – Opening a precious metals IRA and buying the bullion through Regal Assets is by far one of the most educational ways to start investing in precious metals within a self-directed IRA. They are one of the few IRA custodians to charge yearly flat rate fees for both storage and account administration. They offer choice of co-mingled storage for only $100 per year with either Brinks Global or Delaware Depository. The firm provides clients with choice of segregated storage on a sliding scale fee. Many of the top-rated for 2017 Gold IRA firms and bullion dealers partner with them. The company itself is newer as it was only established in 2008, though its parent company is over 100 years old.